As we grow older, we begin facing our number one enemy: death. Typically, we don’t fear death just for ourselves, but for our loved ones as well. Losing a loved one – especially a spouse – is incredibly painful for the elderly. It may take years before a grieving spouse feels a lessening of the sadness and devastation. While there is no right or wrong way to grieve, there are healthy ways to cope with the pain and depression that comes with losing a loved one. The senior may never really get over his loss, but he can accept his new reality and begin to enjoy life again. As a caregiver, you play an integral role in helping your senior clients through the grieving process. Contrary to popular belief, a person does not have to go through each stage of grief in order to heal. There is no “normal” timetable for mourning. How a person grieves depends on their personality and coping style, life experience, faith, and the nature of the loss. 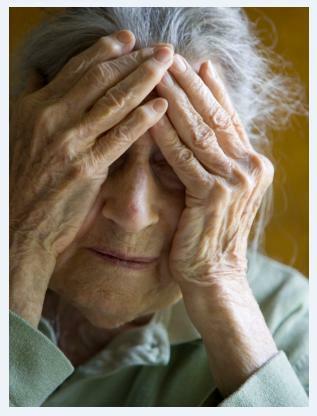 Helping seniors realize that there is no certain way they “should” be feeling may eliminate much of their anxiety. If you have concerns that a senior’s grief is getting out of hand and he may be a danger to himself, reach out for help right away. Concerns can be communicated to agency administrators, physicians and family members using your secure homecare system and homecare software. The most vital factor in healing from a loss is having the support of others. Sharing the loss makes the burden of grief easier to bear. Caregivers, be a listening ear to your senior clients. Let them express themselves openly to you. Encourage them to join a support group as well, so they can talk to others who are going through similar experiences. You can set daily reminders for support group meetings using your homecare system and homecare software. When a senior experiences loss, he may exhibit behaviors that are uncharacteristic of his personality. It will take patience and understanding on your part as they work through their grief. Be observant as to what triggers emotional outbursts. In addition, keep on the lookout for activities that the senior really enjoys – such as gardening or looking through photographs. Set daily reminders in your homecare system and homecare software for such activities. Sometimes grieving can lead to serious depression that just doesn’t let up. Encourage depressed seniors to visit their doctor for evaluation. An anti-depressant may be temporarily prescribed to help them make it through the worst of the grieving process. Medication tracking is made easy using ClearCare Online’s homecare system and homecare software. The grieving process may be a roller coaster ride. There may be a few good days followed by weeks of bad days. But with time, patience, and the right treatment, there will be good days again.